When we asked our eight year old Florida grandson what he wanted to do on his day out with Grandma and Grandpa, there was no hesitation. His eyes lit up and he yelled out, "The railroad museum!" We knew which one he meant. When we went to the zoo with him and his siblings he had jabbered on about how great it was. The Gold Coast Railroad Museum is right next to the Miami Zoo. We arrived shortly after it opened and were pleasantly surprised to find that our AAA card got us in for free. Unfortunately one of the things he wanted most to do doesn't happen during the week. On the weekends, there are train rides available on a large train but during the week they only run what he called "the baby train." The train is actually called the Edwin Link Children's train, a 24" gauge locomotive powered by an air compressor. Its cars are large enough to seat adults as well as children and for $3 you get about 15-20 minute long ride. Before our train ride, we wandered around the railroad grounds and went in all the train cars that were open to us. 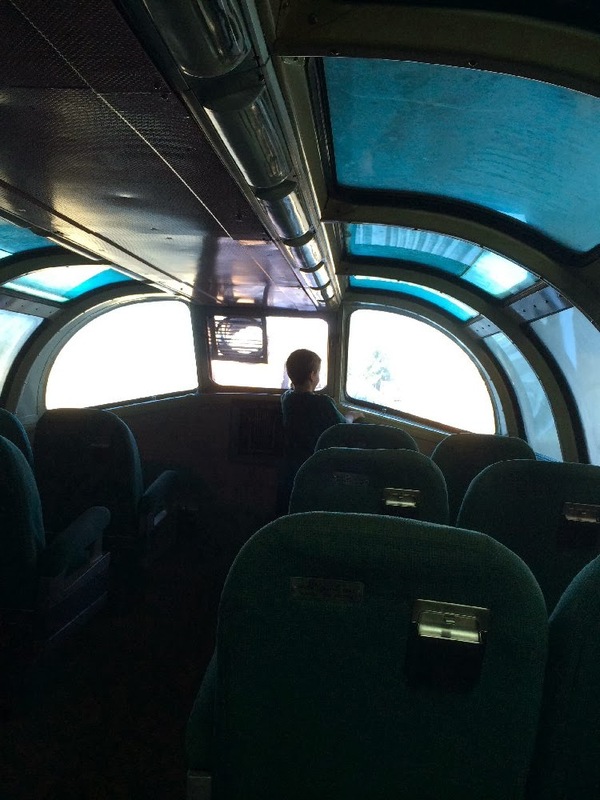 We entered another world of train travel from the past. Fascinating sleeping cars equipped with toilets and sinks, lounges that were quite chic in the 20s, 30s, and 40s, and a US Army hospital car that was built in 1945. Of course the most impressive pieces on display were the large engines--steam and diesel. Our grandson led us around the locomotives explaining the difference between them. We were quite surprised at his knowledge. Another building held layouts built by local model railroaders. Unfortunately those were not running during our visit either. We decided we were really glad we hadn't had to pay for our visit. 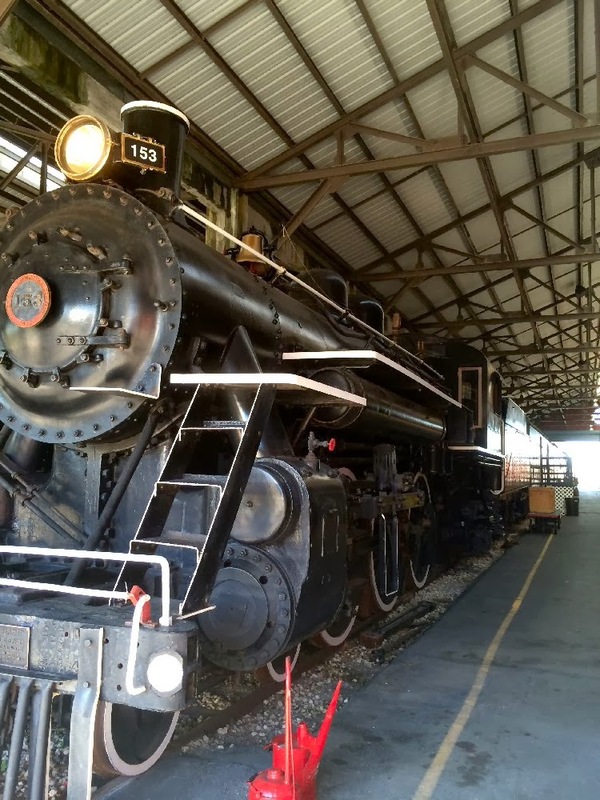 On every third Sunday beginning in March, admission is free and the only things you pay for are the train rides and a special tour of the Ferdinand Magellan, the Presidential Rail Car. It was built in 1928 but pulled from general service to be refurbished as a car for President Franklin Roosevelt and presidents to follow when they traveled. Before we left, we purchased tickets for our grandson to ride in the locomotive. When the big train runs on weekends, there is room for 4 or 8 people (depending upon the locomotive) to ride with the engineer. It'll be a great treat for him and his dad. 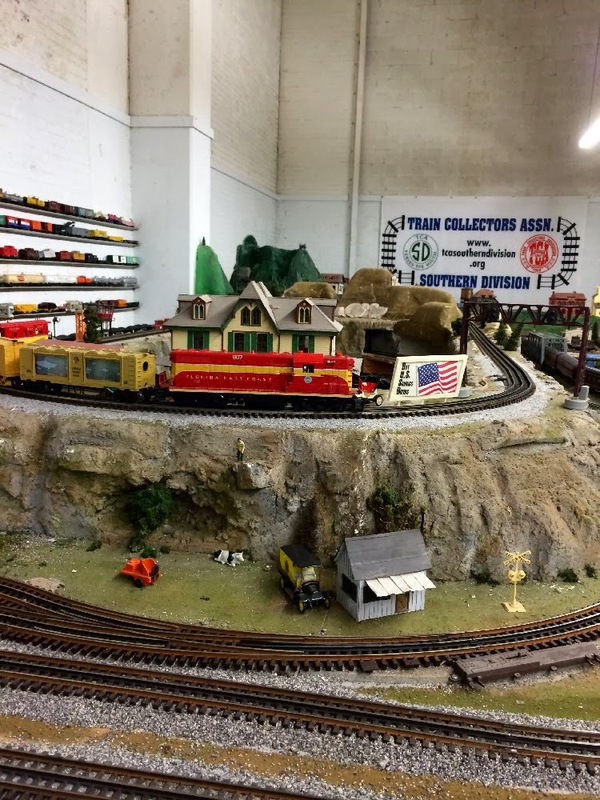 For railroad buffs, the place offers all sort of treasure to be explored. For us it was just a wonderful day to watch a young boy dream.